If you plan on playing Final Fantasy XIV: A Realm Reborn on PlayStation 3, you might want to tune into Square Enix's handy developer's commentary clip, which dives deep into the console version's user interface. At nearly 20 minutes, the video goes into detail on everything from character creation to gameplay basics, so start preparing yourself below. 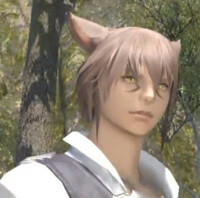 Final Fantasy XIV: A Realm Reborn hits PC and PlayStation 3 on August 27. A PlayStation 4 version is set to follow in 2014.